Maurice W. Dorsey graduated as the only African American in his class at the Bel Air Senior High School, Bel Air Maryland in 1965. He earned a bachelor’s degree in Family and Consumer Sciences from the University of Maryland, College Park in 1970; then earned a masters’ degree in Liberal Arts from the Johns Hopkins University in 1975. He earned a second masters’ degree of Education from the Loyola College of Maryland in 1976. 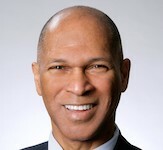 Dorsey returned to the University of Maryland to earn a Ph.D. in Education in 1985. He has worked in both the public and private sector finding his career in secondary education, higher education, and government. Maurice is a life member of the Alpha Phi Alpha Fraternity and Phi Delta Kappa. He retired from the United States Department of Agriculture National Institute of Food and Agriculture in 2012. Businessman First: Remembering Henry G. Parks 1916 to 1989 Capturing the Life of a Businessman who was African American, an authorized biography is his first book. He resides in Washington, DC.